11+ of Seattle’s Trendiest & Tastiest restaurants will all come together for one evening to serve their favorite Comfort Food Picks! This is going to be a fun night of cocktails, wine, sweet treats and indulgent bites from some of Seattle’s best restaurants. 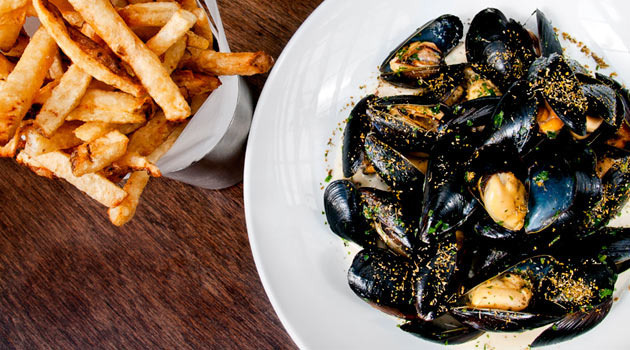 I’m most excited to check out Staple & Fancy’s gnocchi, Bastille’s mussels with hard cider and ginger (sounds like a fantastic combo for fall! ), Foodz Catering’s Brie & Truffle Mac n Cheese. Thanks to all the restaurants involved! Not only is this going to be a delicious event, there’s also art involved: BONUS! Taste The Season is held at Wing Luke Asian Museum, so we’ll be able to check out their exhibits during the event. Their newest exhibit, From Fields to Family: Asian Pacific Americans and Food will compliment this event nicely, as it investigates the cultural traditions and cooking techniques that have changed with time and generations. It’s been years since I’ve visited this museum, so I’m so glad to have such a wonderful excuse to go back. Tickets start at $55 but you can save 25% by purchasing through this link on Gilt City Seattle. Hashtag: #TasteTheSeason – On twitter and going? Tweet me at @keridwyn and let’s say hi!